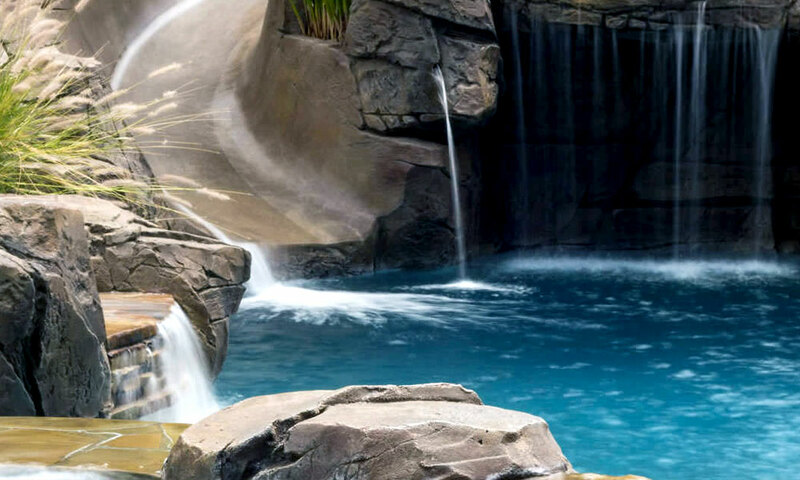 Our Rock Pool designs create a natural setting whether we are adding a few rocks to your pool or making your pool into an all rock boulder paradise without leaving home. 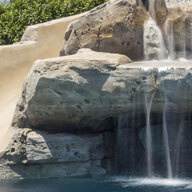 From a big rockslide, to a simple waterfall, this feature can make anyone feel like they are relaxing in Hawaii. 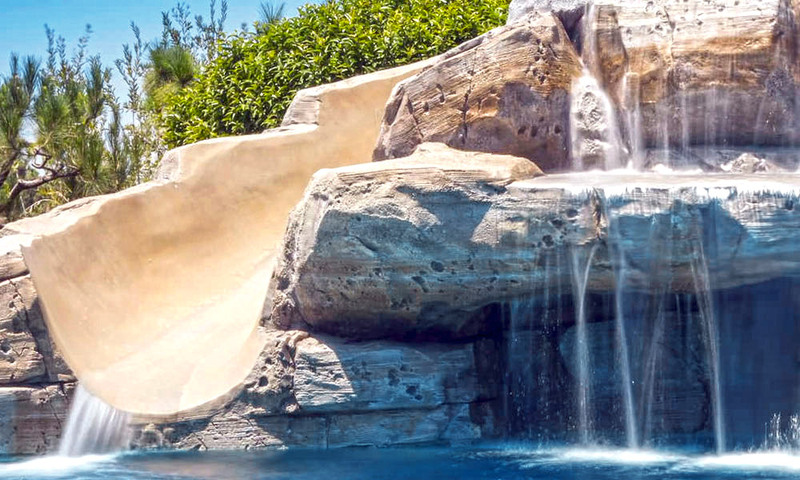 Rock Waterfalls & Slides add fun and excitement to your backyard. 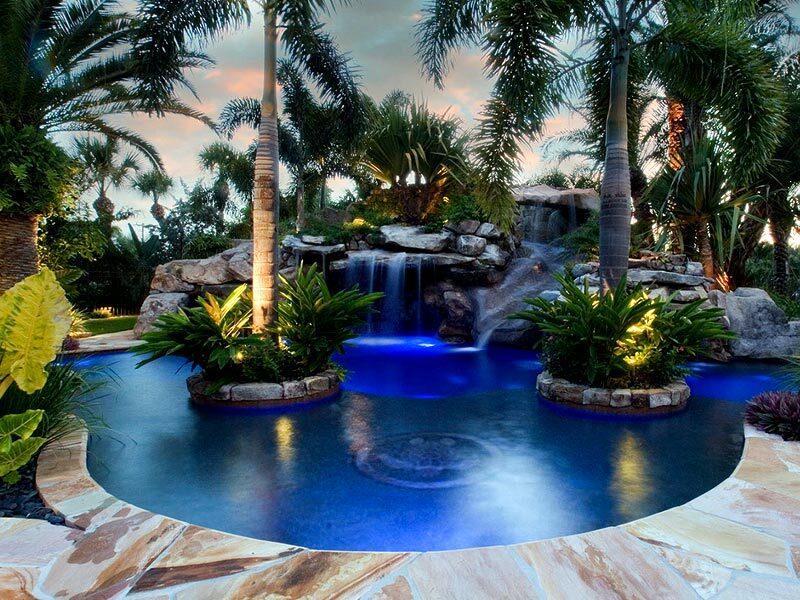 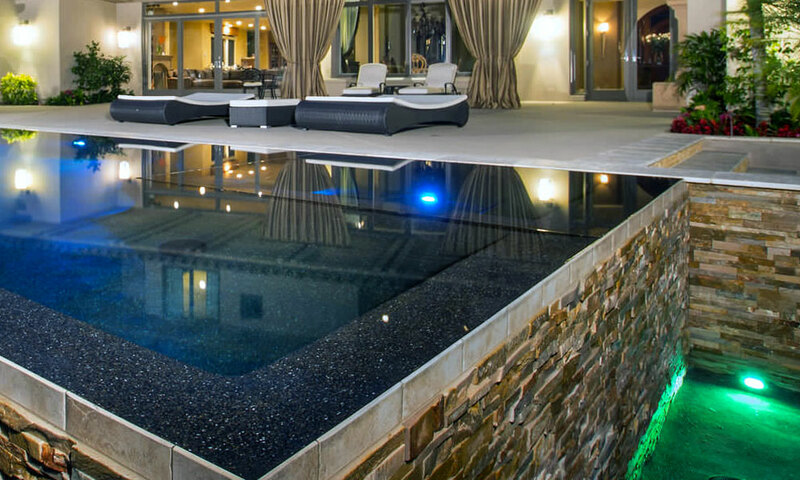 Turn a swimming pool into an oasis with a rock waterfall. 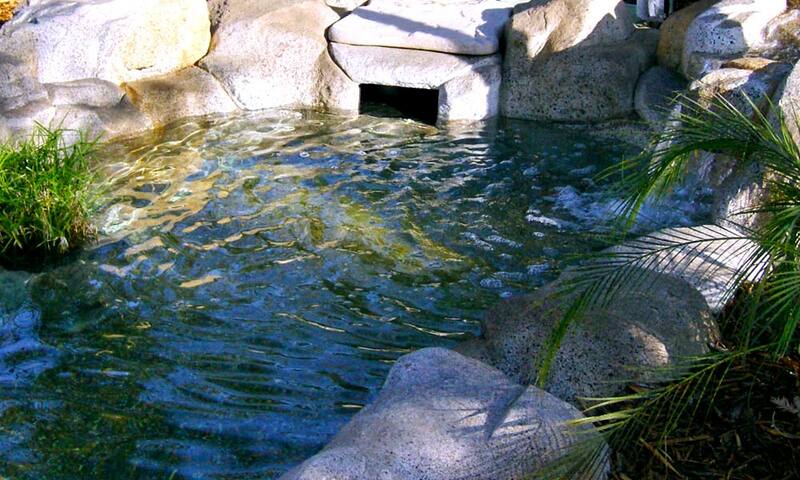 Adding a rock slide is a sure hit for all the kids and their friends to enjoy. 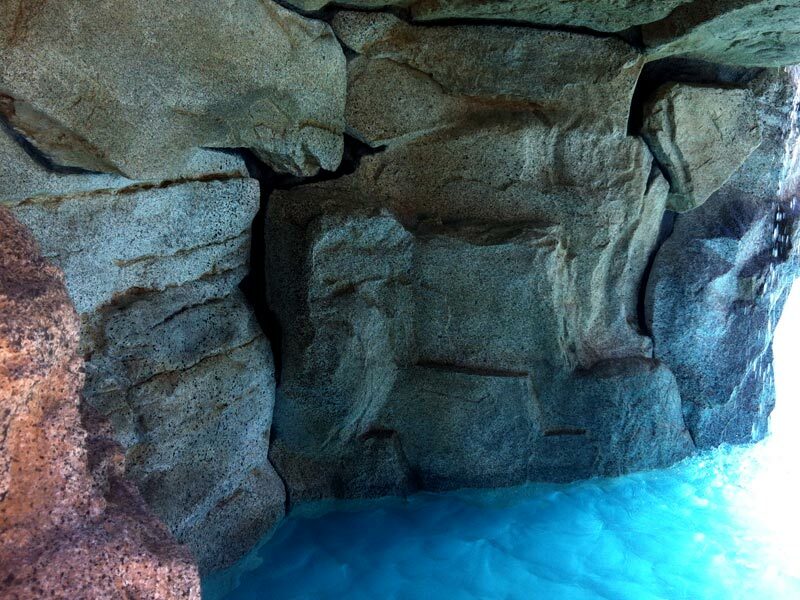 Retaining nature.. 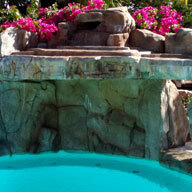 Sustaining beauty... our rock designs have unmatched detail and coloring. 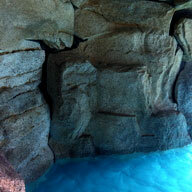 Every crack, every crevice, every grain of sand can be seen in the detail of rock walls. 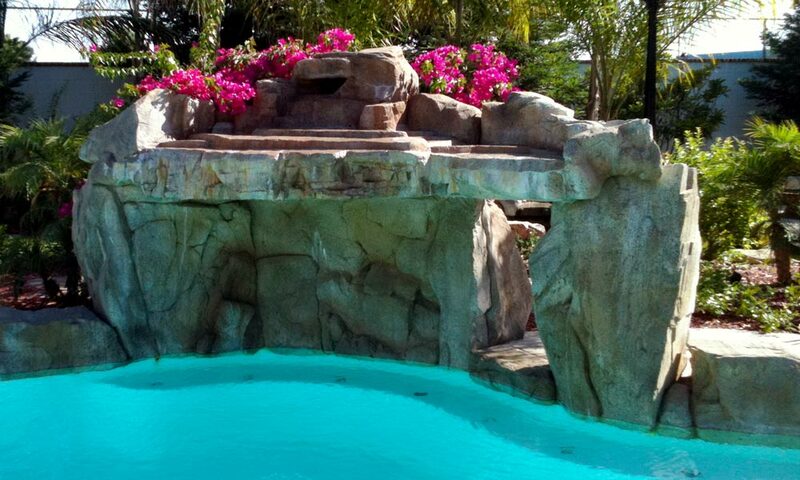 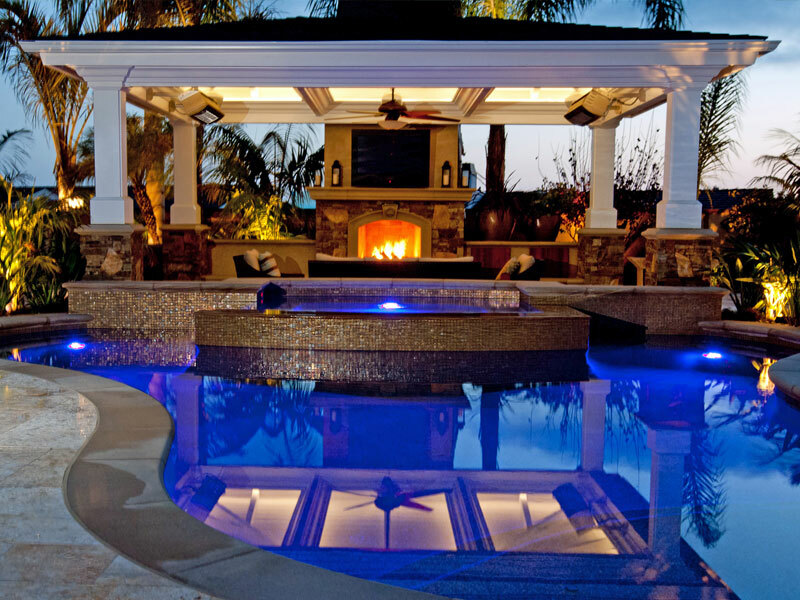 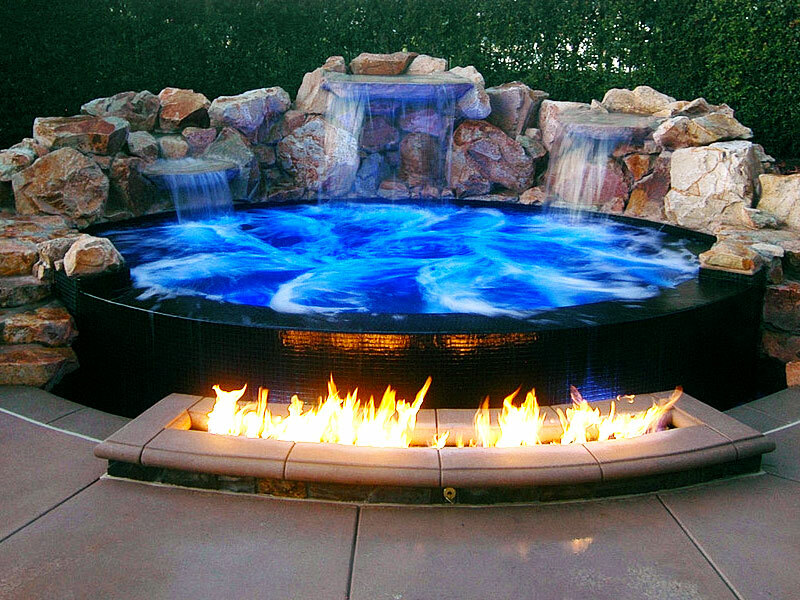 Greecian Pools builds rock walls to resist the extremes of both hot and cold environment of Bakersfield, such as: chalking and cracking due to freezing and thawing. 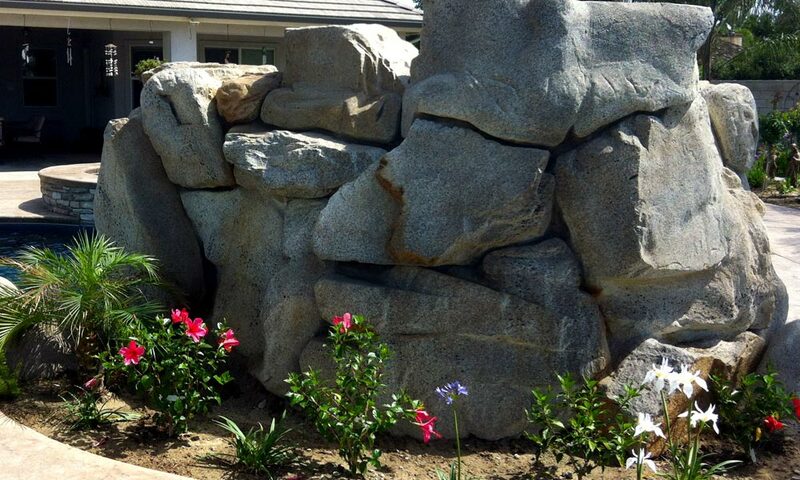 Custom rock work can vary from strategic placement of boulders to enhance the texture of the landscape to a dry streambed landscape feature. 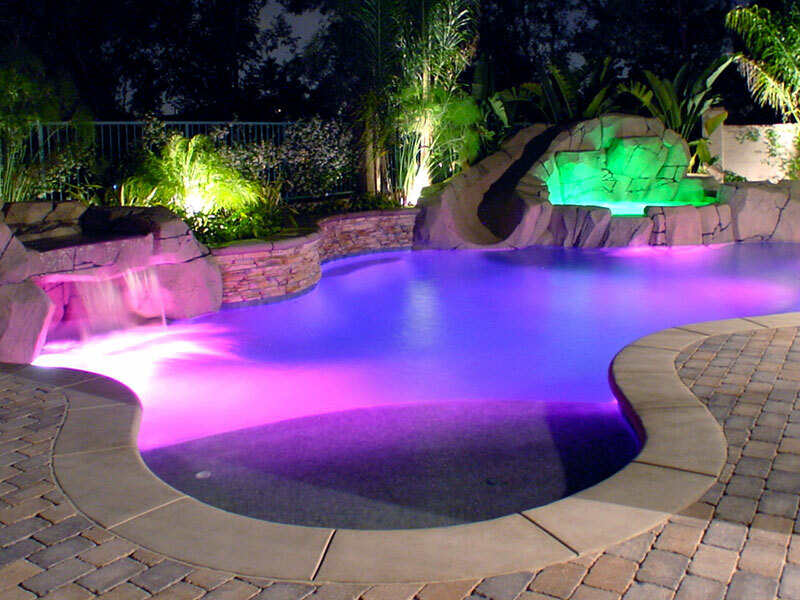 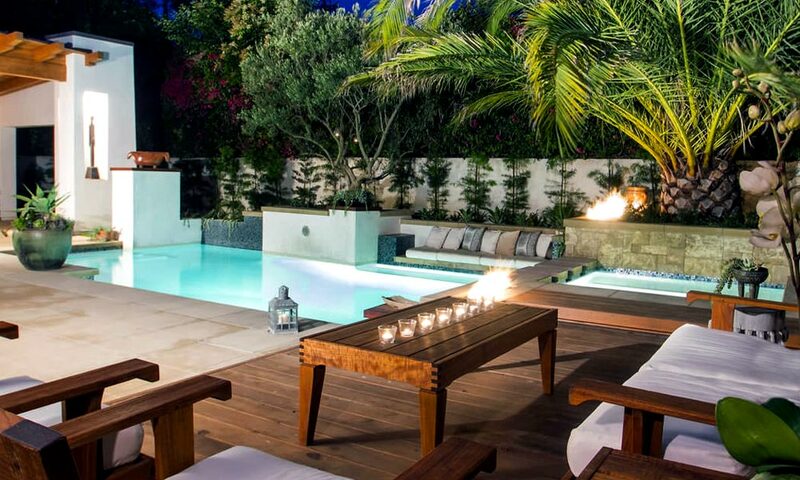 Whatever the rock project, Greecian Pools is ready to help make your visions a reality. 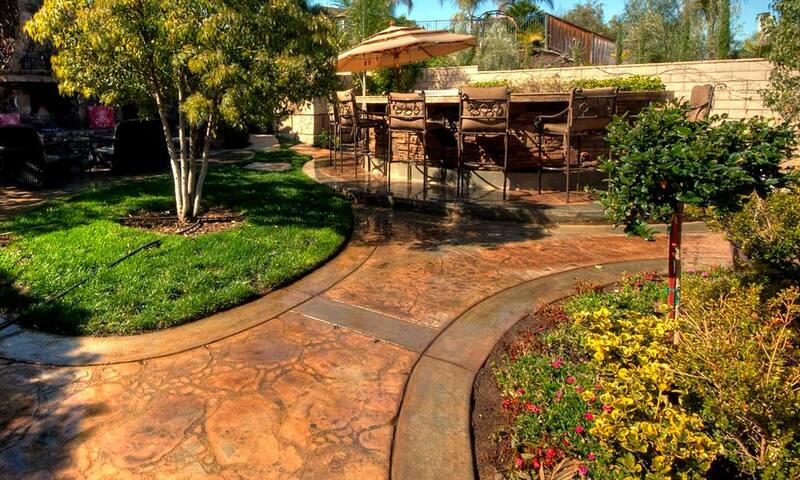 Contact us today at 661-832-0991! 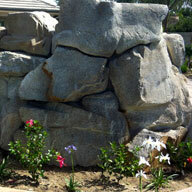 For inspiration and ideas, please look at our below gallery for ideas to build your next rock landscape feature.